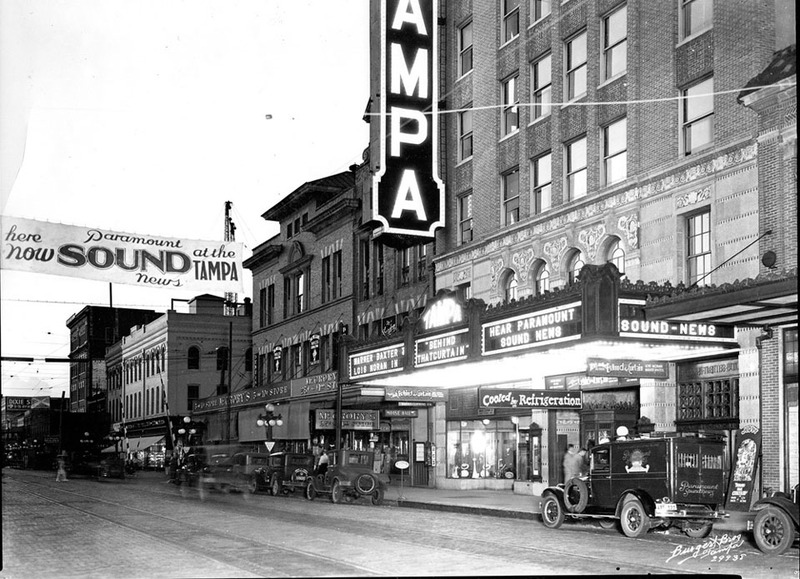 The marquee at Tampa Theatre. 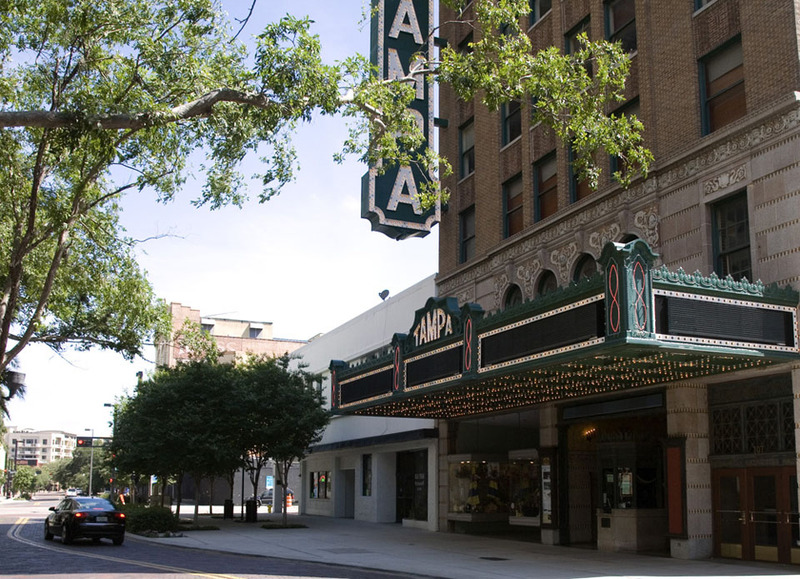 Not only have the buildings changed, but a curve has also been added to Franklin Street to allow for a larger sidewalk in front of the theatre. The movie that was playing in 1929 is Behind that Curtain staring Warner Baxter and Boris Karloff. Brilliant concept, I wish I had thought of it. Look forward to seeing more in this series. Thanks! If you’re interested, you’re more than welcome to contribute re-photography to the site.